This Faux Stained Glass American Flag Craft is a patriotic kids craft idea that is fun and easy to complete, with just a few materials needed! Looking for something crafty for your kids as schools ends and summer rolls in? Get ready for Memorial Day or 4th of July with this kid friendly Faux Stained Glass American Flag Craft. It’s super easy and a great keepsake you won’t mind displaying. First, cut your contact paper to the size flag you desire. Remove the backing and lay the contact paper flat on your work surface. If your contact paper is from a roll, you may need to tape the ends to the table to prevent it from rolling up. Next, cut your tissue paper into 1in x 1in squares. For a short cut, stack all your tissue paper together, cut long strips out, then cut the strips into the squares. Once your tissue paper squares are cut, it’s time to begin creating! Older kids will know the design of the flag already but younger kids may need to see a picture of Old Glory- use this as a learning experience to talk about the 50 stars, the colors, the thirteen stripes. Now simply start placing your tissue paper squares onto the sticky contact paper and repeat repeat repeat! Once you’ve created your beautiful flag, cut an additional piece of contact paper the same size as your first piece. Remove the backing and carefully place directly on top of the tissue paper decorated side. Smooth to make sure there are no air bubbles. Ta da! Enjoy as a decoration or even make it a part of celebrating Memorial Day or the 4th of July. On our flag, we wrote the name of a dear friend who was killed in action in Afghanistan while tending to his wounded fellow soldiers. SSGT Stephen New was a hero who saved lives as he gave his own and we celebrate his life and remember his sacrifice every Memorial Day. This year, my children will lay this flag at SSGT New’s grave as we remember him and all the service members who paid the ultimate price for our freedom and safety. Happy Memorial Day and God Bless America! Do you know a child that would love to make this Faux Stained Glass American Flag Craft? Share with us in the comments, we love to hear from you! Like this craft idea? Be sure to PIN IT and Follow me on Pinterest! Subscribe via Email, RSS Feed, orFollow me on Bloglovin so you don’t miss out on any fun craft projects that you can do with the children in your life! That is so cute. I’ve never seen this craft before. Thanks for sharing! Your pictures and visual instructions make it look so easy to create a masterpiece! I am a visual learner and I know I can make a stained glass American flag with your step by step help! This looks like a fun project that my grandkids would enjoy. This is a great craft to teach children about history. I like that it is easy to make. I would like to help my granddaughter make this flag. Very patriotic and a great way to teach kids what it means to celebrate Memorial Day and the flag. Love it! This is so cute good job on making this from scratch. I really like how you make it look like it has waves. A super creative piece of work. I like tissue paper crafts. They are easy and inexpensive for kids. 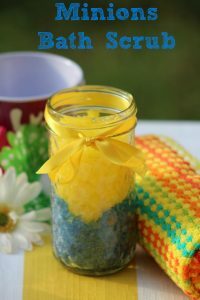 I love this activity it looks so easy to make and I think my kids would love making it. Thanks for sharing! This is adorable! A great activity for kids! This is so creative. I like how patriotic it is. This would be a nice craft for my grandchildren for the 4th of July. Thank you for sharing it. This is so cute! I’m sure my niece would enjoy making this. This is so creative I would love to try this with my kids, thanks for sharing. This is the perfect 4th of July craft to do with my niece! Very nice!! and so easy to do!! LOVE it!!!! This looks pretty simple and not too messy. I may give it a try. This looks like such a fun craft! I’d love to make this with my 2 Grandkids…what a great keepsake! Cute! Great craft for small ones. This would be great to make for the 4th of July. I might help my great grandkids make one next month!!! I like this flag craft. I will be making this with my nephew over next weekend. This is a great craft for kids – and I love that it can be displayed all summer! I don’t have a young child to do this craft with. I just wanted to comment that it was a beautiful way for you and your children to honor your friend. This is so nice, I would love to try making it! What a fun, easy, and patriotic craft for kids. Thanks. No kids but I like this and you’re teaching your kids good lessons. This looks very nice. I don’t see many tissue paper crafts.